Mumbai's first floating restaurant is now up and swimming. Anchors away! Ever dreamt of those extravagant yacht parties that you see in the movies? A beautiful view, people talking and having fun, great music in the background mixed with the sound of champagne glasses clinking. 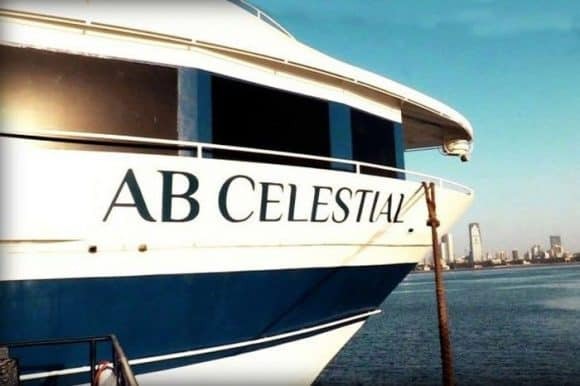 Well starting now, you can live that dream at AB Celestial’s floating hotel in Mumbai. 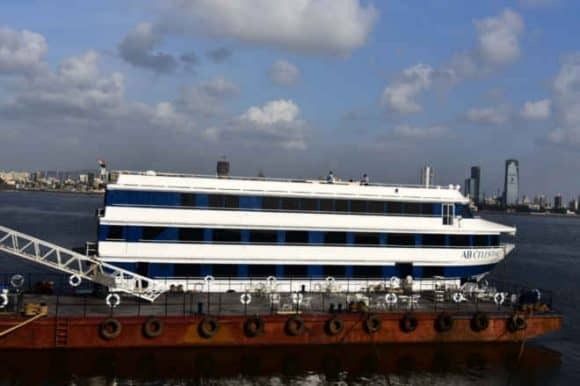 This ‘floatel’ is the city’s one of its kind luxury yacht, a venture by the Maharashtra Tourism Development Corporation in partnership with AB Hospitality and WB International Consultant. 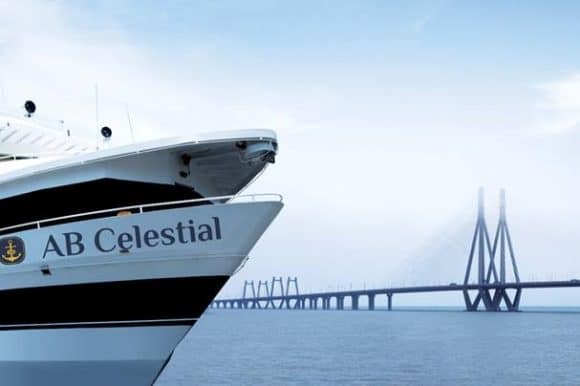 It’s docked at the Bandra-Worli Sealink Jetty. The floating restaurant has three levels. The bottom level has an office and a 24-hour coffee shop while the first floor is a banquet. The second floor is a multi-cuisine restaurant. The best part though is the sky lounge and the open terrace restaurant located right at the top. 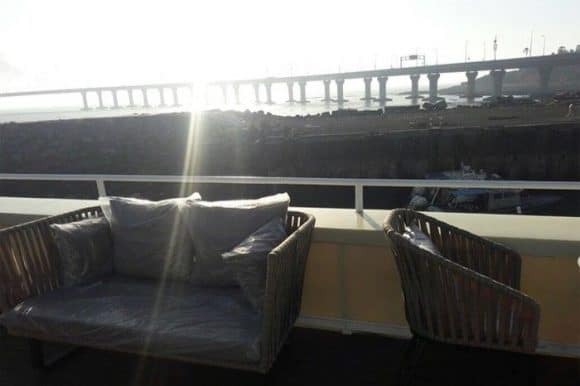 A panoramic backdrop of the magnificent Bandra-Worli Sealink, a beautiful 360-degree view of Mumbai and the never ending vast waters of the Arabian Sea is the perfect setting for a good meal. The best part about this is that the restaurant is open 24 hours, seven days a week. Fancy a midnight snack in style? No problem. But, be prepared to shell out a couple thousand bucks at least. A meal for two could cost an estimate of Rs.3000-Rs.5000. Meant primarily for affluent tourists, predictions are, the floatel has lots of reserved booking flooding in. The best way to get in is to pre-book your table using their online reservation system. The boat can house up to 650 guests at a time. Bringing this fancy floatel to Mumbai wasn’t that easy either. 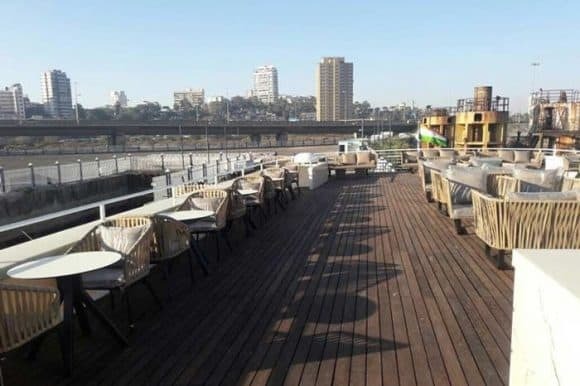 With more than a 100 permissions to be secured, especially from the Environmental Department and the Liquor Department, the inauguration of the floating restaurant anchored way back in 2014 was delayed to 2017. 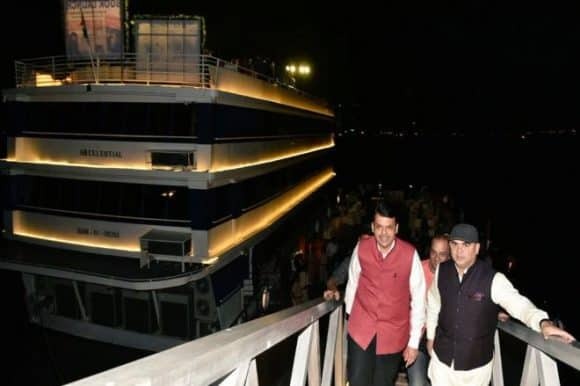 It was finally inaugurated by Chief Minister Devendra Fadnavis earlier in March and is now going to be open to the public for a test run, or shall we say test swim? Prior to AB Celestial’s version, floating restaurants are quite popular in Goa, Kerala, Tamil Nadu and Puducherry. Though it’s not the first player in town, this one’s got Mumbai’s style and class written all over it. 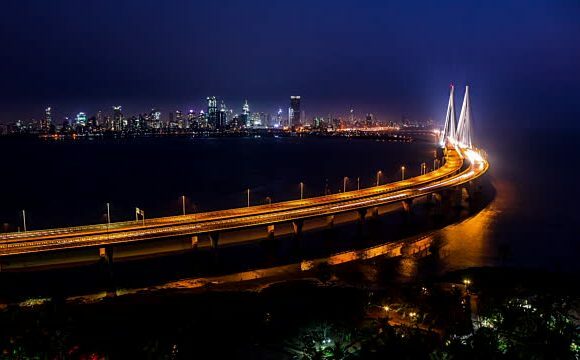 As if there weren’t enough reasons to visit Mumbai, a world in itself, here’s another addition. Bon Appétit, float away!